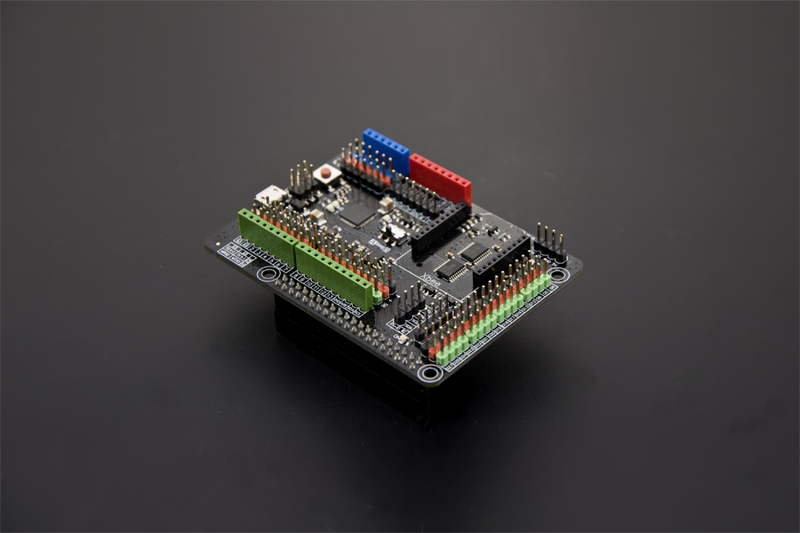 NOTE: The ID-I2C is an EEPROM interface, which is dedicated to connect to external EEPROM, it will test automatically EEPROM devices attached to it when it starts, is used for configuring GPIO and Linux drivers. In theory, it can be used as an ordinary IIC. 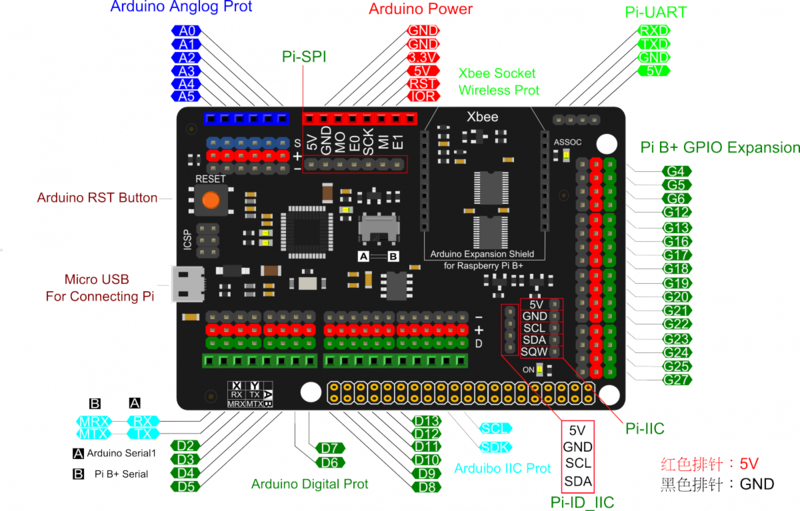 First of all, let's control a sensor by Raspberry Pi directly with Meet Arduino Shield. '''Note: '''For this tutorial, we assume that you've known the basic knowledge about the Raspberry Pi B . And more details will be focused on how to extend and use more hardware modules and sensors for your Raspberry pi B projects. In this part, we will control the Relay module with Python via Pi's GPIO. 1. Plug the Pi Meet Arduino shield to the Raspberry Pi B , Which connected with the power and Ethernet. 2. Connect the Relay module(or LED module) to your Pi as the hardware connection shown. 3. Login in your Pi by Putty. 4. Create a Python example code using nano. 5. Run the python sample by the command below.And Check the effect. PS: The module is connected to the GPIO 4 matching the software configuration. 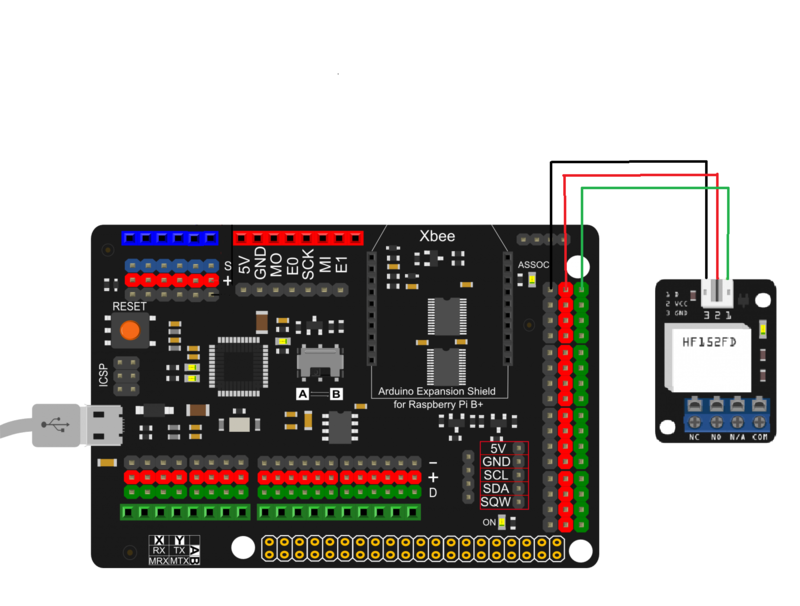 Connect the micro usb from Meet Arduino shield to the USB host on the Pi. 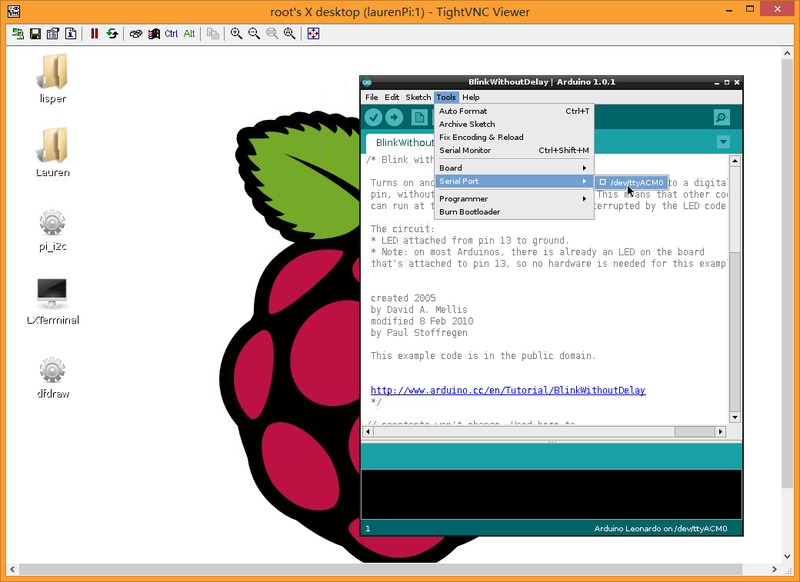 Launch your VNC server on the Raspberry Pi B .
Log in the remote desktop to Pi using TightVNC Viewer. Launch your Arduino IDE. Open the blink sample sketch. Choose the leonardo as the board connected and open the right port as the picture shown. Click "Upload" to program it. Q1. Some general Arduino Problems/ FAQ/ Tips, very good to know. A. Clike the topic link on DFRobot Forum. Q2. SPI devices not working on this expansion shield? I have been working around with the microSD card reader (cod. dfr0229) and this expansion shield. The arduino works great, I even have a lcd display working without any problem, but the SD card reader doesn't seem to work so well, I have connected it to the icsp pins (D4,11,12,13, 5V&GND). His post link on Forum.